Juice, tea, milk based product, liquid food, energy drinks, milk tea, coffee and so on are all hot filling products. The product variety is ever increasing with flavors and textures preferred by customers. 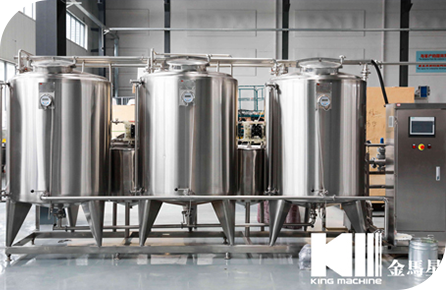 The variation of beverage has extremely high requirements for the production equipment. 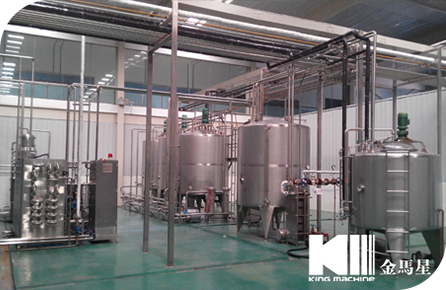 King Machine filling machines will provide different solutions for different products. Every one of your products will have its optional solution. 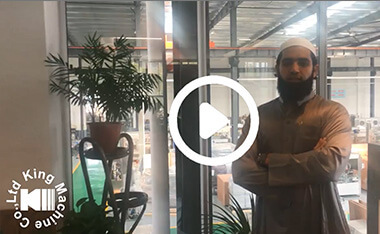 It can apply to fill Juice, tea, milk based product, liquid food, energy drinks, milk tea, coffee into thermal proof PET bottle by changing few spare parts. 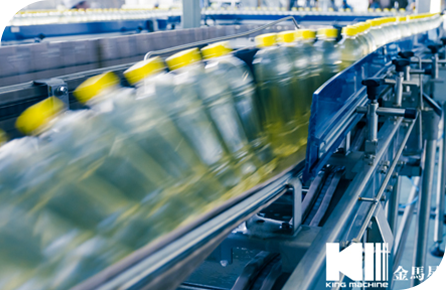 Its usual production capacity is in 1,000-24,000bph, 0.25-2.5L PET bottle is available. Automatic Juice Filling Machine adopt Rinsing / Filling / Capping 3-in-1 technology, PLC control, Touch Screen, it is mainly made of SUS304/ SUS316. Pivotal electrical parts use Mitsubishi, OMRON, and SIEMENS. Filling accuracy is more or less than 1%. The filling solution giving attention to the color and taste and keeping natural, green , health, nutrition flavor without preservatives and additives brings consumers brand-new and visual sense and comfortable drinking pleasure. For Special Layout Contact for Advanced Customization! This RCGF Wash-filling-capping 3-in-1unit: The automatic fruit juice packaging machine is used in hot filling and sealing of green tea, black tea, wu-long tea and fruit juice drink, energy drinks, milk drinks, Dairy drinks. This machine integrates washing, filling and capping together. The design is scientific and reasonable. Its appearance is beautiful. Its operation and maintenance is convenient. The automation is high. It is good equipment for choosing hot drink filling machine. Customized capacity: The capacity complete depend on the customer demands. Durable material: The material of water treatment plant is SUS 304. The material of ozone mixing tower tank is SUS 316, which is durable. Use juice own high temperature to kill the bacterial inside cap. Use juice own high temperature to improve sealing of bottle to extend warranty time. Use SUS 304/316 stainless steel chain and high polymer material conveyor to keep high quality and increase service life. 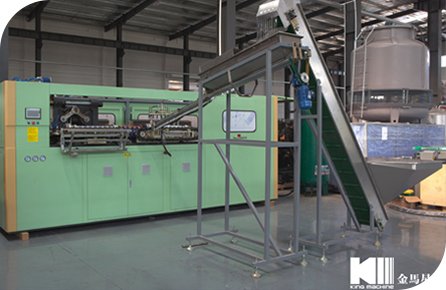 KM series heat resistant bottle blow molding machine is suitable for producing PET plastic containers and bottles from 50-2000ml. It is widely used to produce the carbonated bottle, mineral water pesticide bottle oil bottle cosmetics, wide-mouth bottle and hot fill bottle etc. 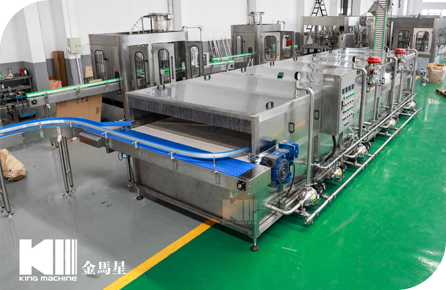 Before 4years we ordered 24-24-8 filling line from king machine, until now it works fantastic, and now we plan to start juice filling line, we still choose King machine as our supplier.